A Tesla Model X vehicle is charged by a supercharger outside a Tesla electric car dealership in Sydney, Australia, May 31, 2017. 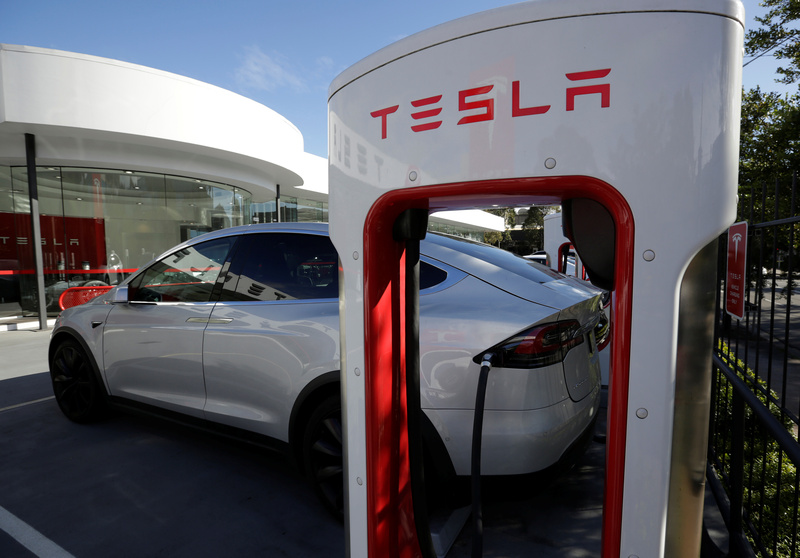 Tesla on Jan. 30 reported fourth-quarter net income attributable to common stockholders of $139 million. At $1.93, diluted earnings per share adjusted for stock-based compensation missed the consensus estimate of sell-side analysts of $2.20 per share, according to I/B/E/S data from Refinitiv. Revenue of $7.2 billion beat the estimate of just shy of $7.1 billion.